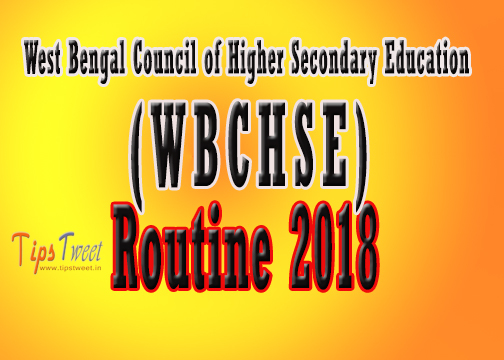 This year West Bengal Council of Higher Secondary Education (WBCHSE) examination 2016 (H.S Exam) will be started from 15th February, 2016 and still continue to 29th February, 2016. 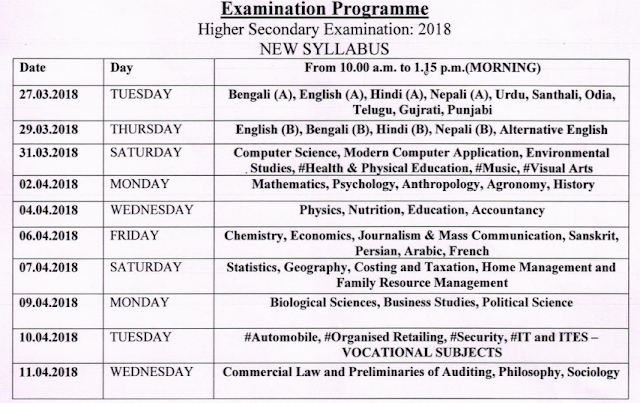 Get all the details information about Higher Secondary Examination 2016 and its routine, time table and schedule and many more. West Bengal Higher Secondary Examination 2016 routine & time table. • 15th February,2016 (Monday) : Bengali(A), English(A), Hindi(A), Nepali(A), Urdu, Santali, Odia, Telugu, Guajarati, Punjabi. 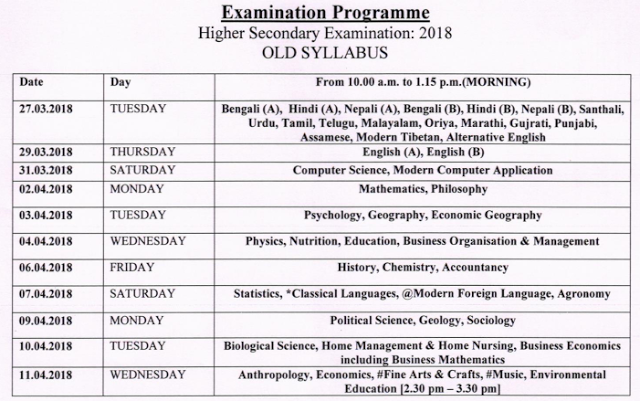 • 17th February,2016 (Wednesday) : English(B), Bengali(B), Hindi(B, Nepali(B), Alternative English. • 19th February,2016 (Friday) : Physics, Nutrition, Education, Accountancy. • 20th February,2016 (Saturday) : Computer Science, Modern computer application, Environmental Studies. • 22th February,2016 (Monday) : Mathematics, Psychology, Anthropology, Agronomy, History. • 24th February,2016 (Wednesday) : Chemistry, Economics, Journalism & Mass Communication, Sanskrit, Persian, Arabic, French. • 26th February,2016 (Friday) : Biological Sciences, Business Studies, Political Science. • 27th February,2016 (Saturday) : Statistics, Geography, Costing and Taxation, Home Management and Family resource Management. •29th February,2016 (Monday) : Commercial law and Preliminaries of Auditing, Philosophy, Sociology. 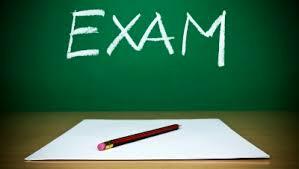 For inquiry- Students may visit the Official Website for Annual Examination 2016 Routine.